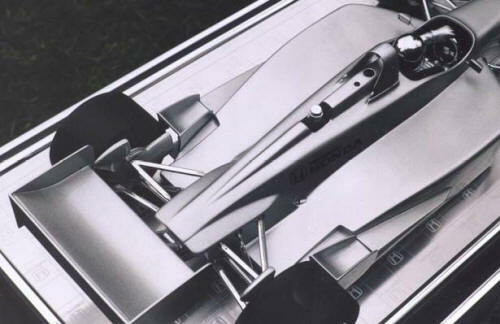 2000 The Cart FedEx Championship Series was won by Gil de Ferran in Team Penske's Reynard Honda. 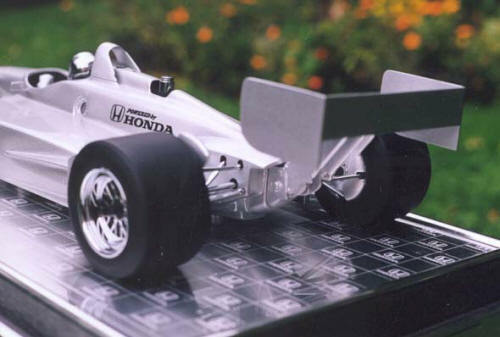 In recognition of the teams contribution to the Honda Performance Development Program in Champ Car, Honda commissioned us to build, 2 "Special Edition Honda" models for presentation to both the team and the driver. 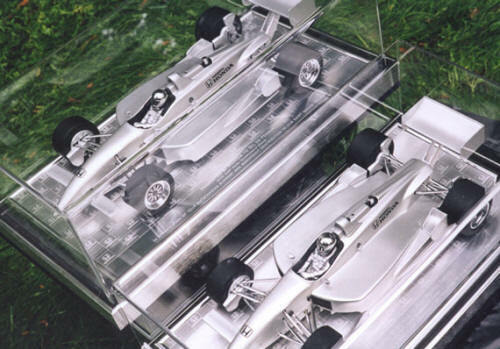 The models were in 1/10th scale, and like the 1998 Silver Anniversary cars, the drivers helmets were triple chromed cast bronze. 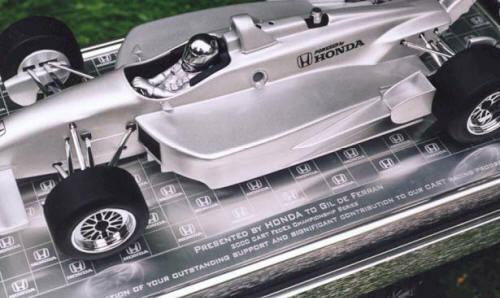 The suspension was fabricated in brass, the mag frets were photo etched, and the wheel rims and pop-off valves were turned in brass, before being triple chrome plated.